Iffort has bagged digital media mandate for Indus Action in a multi-agency pitch. The account shall be handled from their head office in Noida. The agency will be responsible for managing Performance Marketing, Online Reputation Management, Digital Listening, Search Engine Optimization, and other media duties of the brand. Indus Action a non-profit organisation that has been working in the space of Policy Implementation in India since 2012. The organization seeks to identify the wide gaps that exist in policy framing and their grassroots implementation. 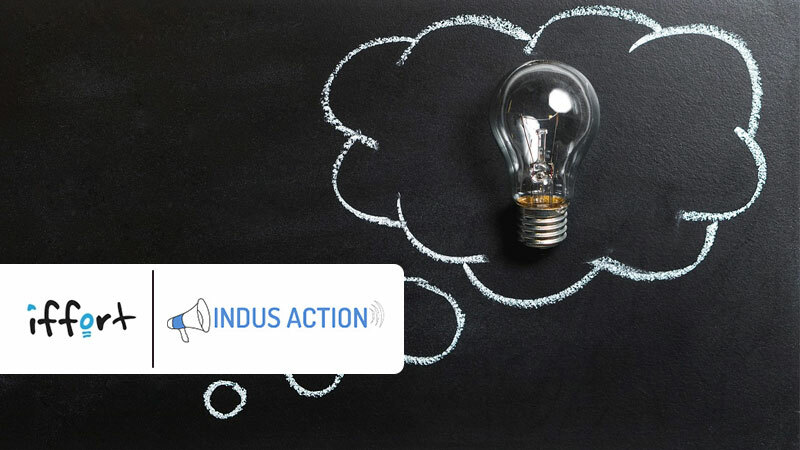 Indus Action’s first campaign, was launched last year to support the effective implementation of Section 12(1)(c) of the Right to Education Act, 2005. Under this section it is mandatory for unaided, non-minority private schools to reserve at least twenty five percent of seats in Nursery, KG and Class 1 for children belonging to disadvantaged and economically weaker sections. Anjan Vij, Sr. Associate Communications, Indus Action said,”Indus Action, like any other fast-growing non-profit realized that most of its audience and stakeholders spend a lot of their attention online. Before partnering with Iffort, we did not have a coherent strategy to disseminate content across our social media accounts. Having a strong and active presence online would give us the credibility and opportunity to access resources which would be difficult otherwise. Iffort has a credible list of clients that it works with across different sectors. Almost all of which are well-known and have a high recall. That along with the strong leadership team convinced us to partner with them for our first ever investment in digital”. Commenting on the win, Daksh Sharma, Director, Iffort, says, we are delighted to partner with Indus Action and provide a digital impetus to their mission of helping disadvantaged families gain sustainable access to legislated rights. With clutter breaking content-mix and execution strategy for different social media channels, we are looking forward to provide long-term value to Indus Action in this journey. Iffort will play a essential role in Indus Action’s plan to evolve as a digital-focused brand. With its exclusive team of experts, the agency will help the brand to further strengthen the brand identity and achieve optimum digital presence.